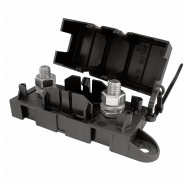 Fuse box for standard blade or spade fuses. 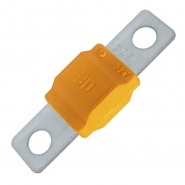 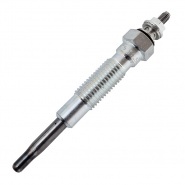 Holder for the standard range of automotive blade fuses. 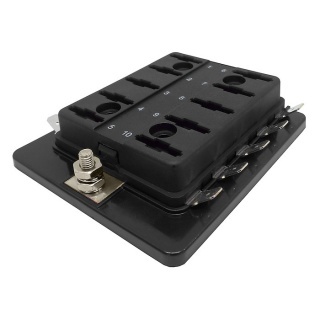 10 way, ten fuse positions with a common busbar for input. 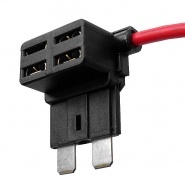 Voltage rated to: 32V DC. 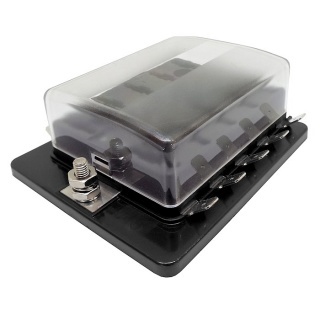 Modern style standard fuse carrier comes with an easy inspection PVC cover. 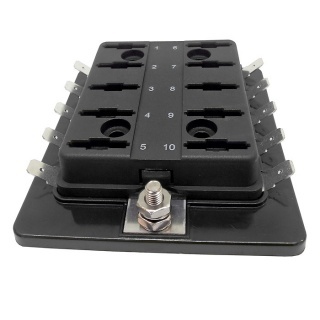 The blade fuse holder is designed to pick up the common input and then fuse protect components via the 6.3mm spade connection. 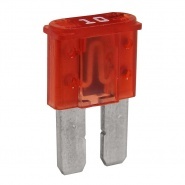 Durite orange Midi type aftermarket fuse, 30A continuous, 60A blow rating, fits holders 0-378-00 and 0-378-85.